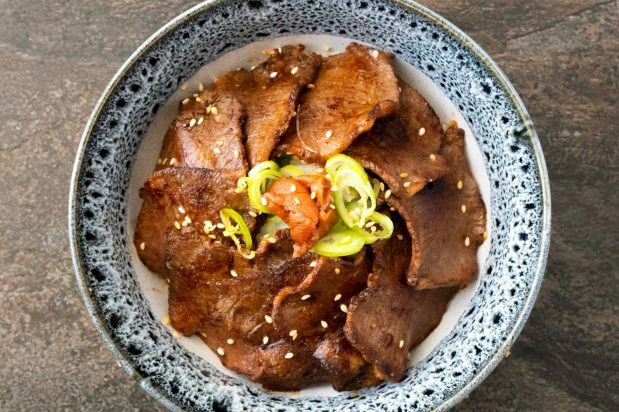 Combine the marinade ingredients together in a container and add in the beef tongue slices. Make sure that the pieces have enough space so that they don’t overlap. Marinate the beef for about 30 minutes. Heat up a grill and cook the slices of tongue for about 2 minutes on each side. To serve, place a serving of rice in to a bowl and fan out the slices of tongue around the rice. Garnish with spring onions, sesame seeds and pickled vegetable of your choice!